Credit card debt is a big problem in the United States. According to Money, an American between the ages of 18 and 65 has, on average, credit card debt of $4,717. Having a large revolving credit card balance is one of the biggest roadblocks to achieving financial stability. Depending on your balance and interest rate, it could take years – even decades – to pay off your debt. Plus, a high balance can negatively affect your credit score, which can impact your interest rates on a mortgage or car loan – and your ability to even qualify. If you are stuck in the vicious cycle of high credit card debt it is time to take action. Here are five tips you can take to help dig yourself out of this situation and get back on the right financial path. The first step to tackling credit card debt is to know exactly how much you have. Go through your statements and figure out how many cards you have, how much you owe on each one, the interest rates, and the minimum monthly payments due. Sometimes people underestimate how much debt they really have. Getting an accurate picture of your situation is essential for moving forward with the next steps. Examine your income and expenses and see if there are any ways you can free up money to put toward your credit card payments. Cut back on one restaurant meal a month, reduce your cable or phone plan, etc. You can also look for opportunities to make some extra money and earmark those funds to your credit card pay-down strategy. Reducing your interest rates even by just a little can save you a significant amount of money over time. If you have a good payment history, call your creditors and try negotiating a lower interest rate. Read this article from The Simple Dollar for some valuable advice on how to prepare for the call. You may also want to keep an eye out for balance transfer promotions that offer low interest rates for a special promotional time period. With a balance transfer you may be able to move one of your credit card balances, or consolidate several of your credit card balances, into one new credit card with a drastically lower interest rate. Keep in mind that balance transfers usually charge a fee which is typically a percentage of the balance transferred. So do the math to see if it makes sense. If it does, go for it, but be sure to not use your old card again – and don’t start charging on the new one. Nerdwallet offers some additional tips on how to make your balance transfer a success. Pay off your highest interest card first – If you have multiple cards, dedicate any extra funds you have to paying off the credit card that has the highest interest rate and pay the minimum on the rest. For example, if your highest interest credit card has a $50 minimum payment but you can afford to pay $100 each month, then put that extra $50 toward that balance. It will knock down your balance faster and you’ll pay less interest over the long term. Once you finish paying off that card you should apply that $100 payment to your next highest interest card. 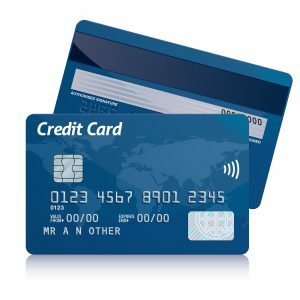 Pay off the card with the smallest balance – While many financial experts suggest the first strategy as the best way to get out of debt fast and pay less interest, the process can be slow. Some people might be more motivated and encouraged psychologically by paying off the card with the smallest balance first. To use this strategy, put any extra money you have toward that card, and pay the minimum on the rest. Once that card is paid off, apply that same amount of money to the card with the next smallest balance. If you are taking the steps above to pay down your credit card debt the last thing you want to do is incur more debt. Pay in cash and leave your credit cards at home. Don’t cancel your cards. Having available credit – but not using all of it – can look good on a credit report since it shows that you can use credit wisely. Paying off credit cards takes time, discipline, and of course, a chunk of your monthly income. Don’t get discouraged. Take it one month at a time and keep your eye on the goal of being free of credit card debt for good!